The spring season is a time for citizens to clean out barns, basements, sheds, garages, storage areas under kitchen sinks, etc. and properly discard potentially toxic/dangerous materials. St. Mary’s County residents wishing to safely dispose of household hazardous waste materials will once again have an opportunity to do so. 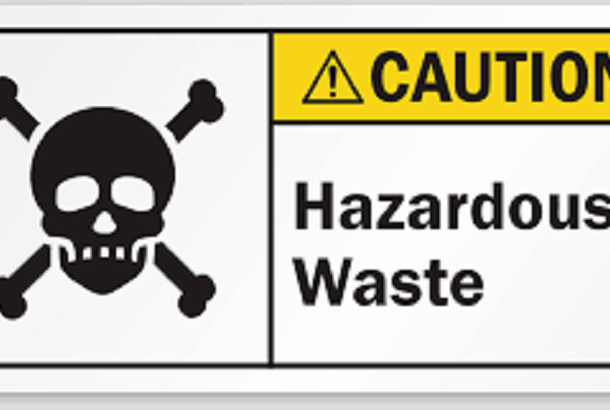 The St. Andrew’s Landfill will host a Hazardous Waste Collection Day on Saturday, April 20, 2019, between the hours of 8 am and 4:30 pm. Hazardous waste items which will be accepted for collection include acids, ammonia, bleach, cleaners, fuels, gas/oil mixtures, gasoline, household and lawn pesticides, Mercury thermometers, photography chemicals, pool chemicals, solvents, wood preservatives, paint thinners, and alkyd (oil-based) paint. Since latex paint is not considered hazardous, it can be disposed with your regular trash collection as long as the mixture is harden by adding absorbents (cat litter, sand, sawdust, or paint drying crystals) prior to disposal. If, however, you are unable to do so, latex paint will also be accepted. Items which will not be accepted include ammunition, asbestos, explosive materials, medical waste, pharmaceuticals, radioactive materials and picric acid. Collect and dispose of your household hazardous waste materials through safe and environmentally responsible practices using the county’s certified vendor, ACV Enviro. For more information, contact the St. Mary’s Department of Public Works and Transportation at 301-475-4200, ext. *3517 or click here. The Department of Public Works & Transportation also will conduct the seventh annual community document shredding event at the St. Andrew’s Landfill on Saturday, May 4, 2019, between 8 am and noon.